I had help with the boys for two weeks straight! Amazing. Yet, as crazy as it sounds, I was looking forward to it being just me & the boys. The week started off well. My two weeks of ‘rest” carried me through the first few days. Then the exhaustion and frustration starting creeping back in. By Friday I wasn’t responding to the boys like I wanted to. Woah. There it is. Bringing me back to truth. Anger is not going to bring about the kind of godly life I desire for myself or our family. when I stood up from my chair the boys greeted me with apologies. Thanking them for saying sorry, I told them how mommy reacted poorly. How spilling water is not a big deal. How I overreacted. How much I love them. Susanna Wesley, a God-centered mom of John & Charles Wesley, birthed 19 children, 10 of who lived to adulthood. When she needed a moment to “center” herself in the midst of mothering, it’s rumored she threw an apron over her head for a time of prayer. She used an apron. 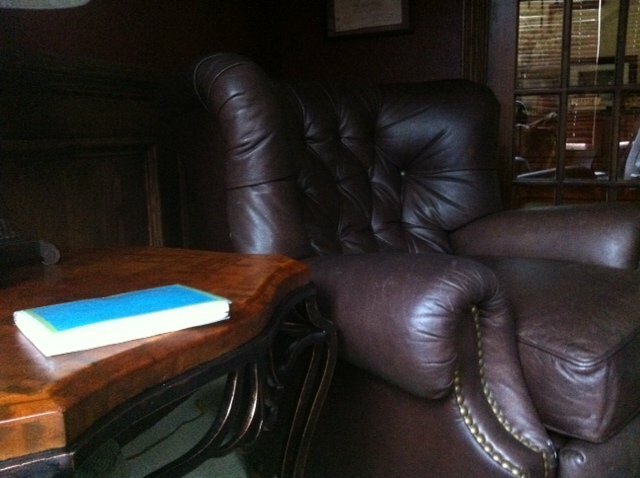 I ran to my leather chair. What is your action plan when you aren’t being the mommy you want to be? Is there a theme for when you get the most frustrated? Time of day? Activity (trying to get out the door on time)? Child? If you have young children, you may not be able to leave them unattended. Perhaps you sit on the floor with your head bowed. Perhaps you can step into the bathroom. Maybe even lock the door (luxury!). Keep some verses handy in the medicine cabinet or a pretty looking basket. Your bedroom may be a safe place to retreat. Does prayer come easily for you? Then spend a few moments telling God why you are frustrated and asking Him to give you what you need. List 3 things you are grateful for in that moment. If you struggle with a consistent trigger, spend time finding Scripture related to your struggle. Keep them written on notecards stuck in a dollar store photo album…easy access and review. Simply open the Bible and allow the Spirit to speak to you through His Word. We can’t expect a few moments reading the Bible in the morning to carry us through the entire day. Particularly if your mothering instinct is opposite of the mother you want to be. We have to have a plan. Where will you go & what will you do when you find yourself over-reacting to your children? Such wise advice Heather! I find myself needing to retreat sometimes and it would be so helpful to have a specific plan in place. I love that God get’s our weaknesses and allows for them. His grace is so good when we choose His strength over ours. It’s such a beautiful picture of His love for us. Yes, heather, wise advice! I so appreciate your thoughtfulness, but more, your honesty. 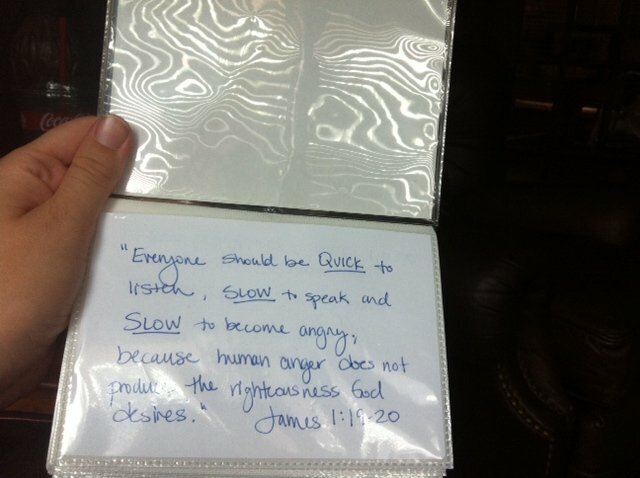 And I needed to hear from James too, about how human anger does not bring the righteousness of God. thanks. You are a blessing. thanks momma! truly appreciate your words of encouragement. really. really. do.